The class is taught in a clean and comfortable classroom in a new house. 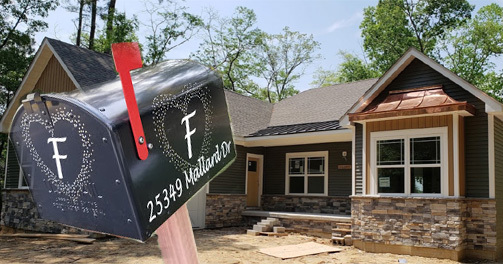 The house is not visible from the road, but you cannot miss the black mailbox with heart monogram. Please park in the driveway, pull all the way in and park along the right side. The door to the right of the garage is the classroom. If you have not pre-paid on line for this class, please arrive 10 minutes earlier to pay in cash. If you are lost or have questions, please call us at 410-320-6169 at least 10 minutes before the class starts. Our classes start on time and the phone is turned off! 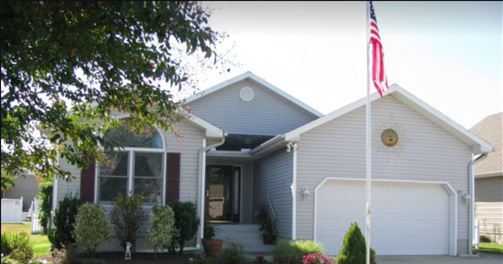 The class is in a house, gray house, cranberry shutters, large gold sun over the garage. Please feel free to park in the driveway, but pull all the way in if you do. If you’d like to park off the street a bit, please do not block the mailbox before 1 pm. Classes after 1 pm, park anywhere you’d like. If you have not pre-paid on line for this class, please arrive 10 minutes earlier to pay in cash. If you are lost or have questions, please call us at 302-462-5594 at least 10 minutes before the class starts. Our classes start on time! For Large groups we will travel to Baltimore, Annapolis, Washington, and parts of Virginia, Wilmington, Our three service company regions include CPR Delaware covering Delaware, Maryland, Washington and Virginia. CPREd covering New York, New Jersey, and Connecticut as well as Oregon CPR based out of Eugene Oregon covering Portland and other towns and cities on the Western Shore.